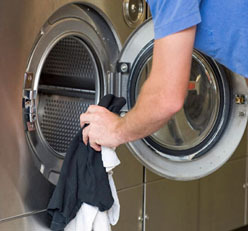 Bring your laundry in and use our washers and driers. Do an entire weeks laundry in an hour. 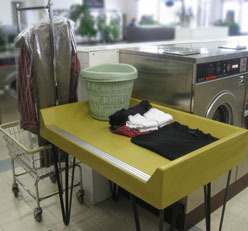 Bring your laundry in and let us wash it, dry it, iron it and fold it. Pick up your finished laundry the next day. Give us a call and we'll pick up your laundry, process it, then deliver your cleaned, pressed and folded laundry back to you. The ultimate in laundry convenience!